Details: Get ready for The Podium's 5-day SALE happening on March 1-5, 2017! Treat yourself to an array of flavors in fashion! 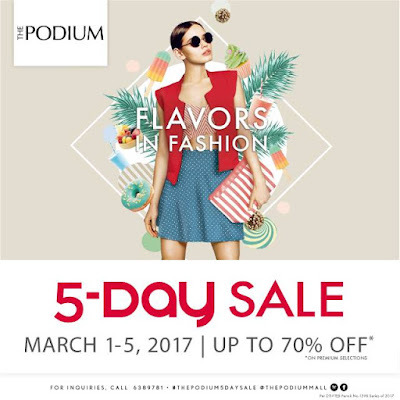 Enjoy dining deals and up to 70% off from top retail brands.